Showroom Finland’s Pilke 60 Tripod is a 165 cm high floor lamp consisting of a slim steel tripod and a birch plywood shade which fills the room with atmospheric light. 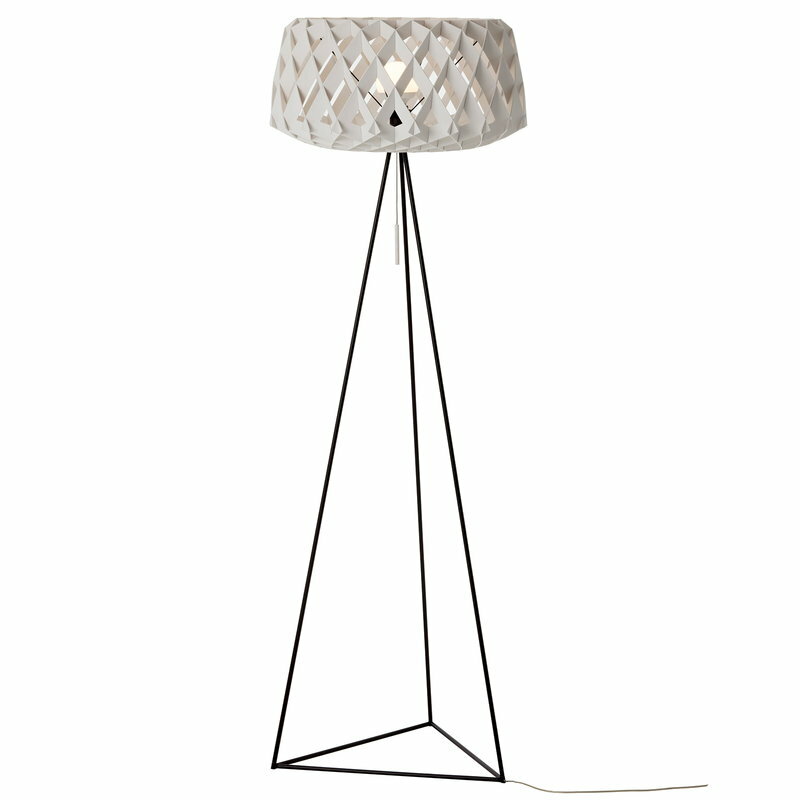 Pilke lamps were created by the industrial designer Tuukka Halonen for Showroom Finland. Pilke is a Finnish word that means twinkle. 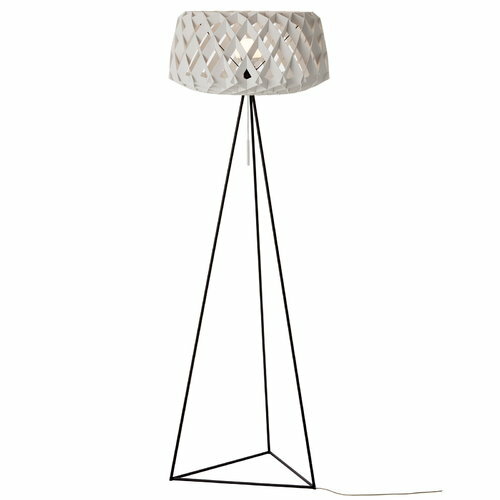 Pilke is not just a lamp, it is a true piece of decoration for your home – stylish and quality design made in Finland. Pilke shades are constructed of identical interlocking parts and the repetition of plywood parts in right angle creates a beautiful three dimensional, geometrically decorative light shade. Pilke pendant lamps are entirely made in Finland of birch plywood and assembled by local craftsmen. 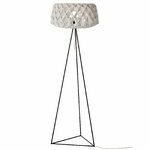 Pilke lamps come in three different colours – white, black and natural.